When it comes to service dogs training programs, there are no state or federal mandates standardizing training protocol, quality of animal care, or even the expertise level of the trainers themselves. This lack of oversight unfortunately results in situations where adults and children in need end up with service canines that, due to no fault of the animal itself, are unreliable and even potentially dangerous. At Northern Arizona Service Dogs, a large part of our mission is to make sure every person who needs a reliable, high quality and expertly trained service dog can easily obtain one. Our service dogs training programs focus on instilling discipline, awareness, responsibility and reliability in our canines. We believe a service dog should be trained for 1-2 hours per day over the course of at least 6 months, with additional hours and months possible depending on the specific training purpose. Most of our service dogs training programs result in between 180-360 hours of training when all is said and done, and sometimes more than that. Our initial training protocol transforms puppies and rescue dogs of all breeds and backgrounds into finely tuned, reliable and responsible service dogs. Additionally, we offer public programs to the wonderful adults and children we provide canines for, as well as to members of the larger communities they and we serve. We are proud to offer two levels of service dog certification in Arizona. Both service dog certification programs are one full day in length, and are open to human-canine teams from all across the United States. These programs allow canines to successfully demonstrate their training proficiency, and human-canine teams to successfully demonstrate their ability to work together in fulfilling the human handler’s unique needs. Both service dog certification programs are performed in person at our state-of-the-art facility in Verde Valley, Arizona. Initial service dog certification includes assessing the canine on the tasks it has been trained to perform. It also involves a public access test to ensure these tasks can be performed in a myriad of everyday situations. Finally, we make sure the human handler can call the canine to perform these tasks at will and on command. In order to earn certification, the service dog must pass the tasks it has been asked to execute with at least an 80%-90% success rate. 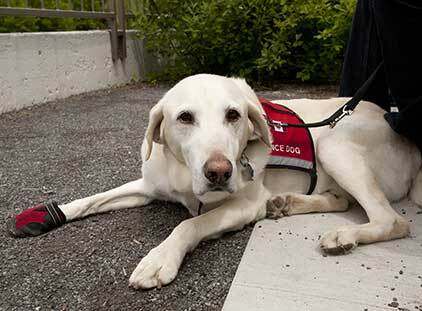 Recurring service dog certification takes place every 3 years. Based on our experience, actively refreshing a service dog’s memory every 3 years after initial certification takes place ensures it will remain reliable while performing its tasks. Like our initial certification program, a service dog is assessed on the tasks it has been trained to perform. This includes a public access test and handler command compliance. 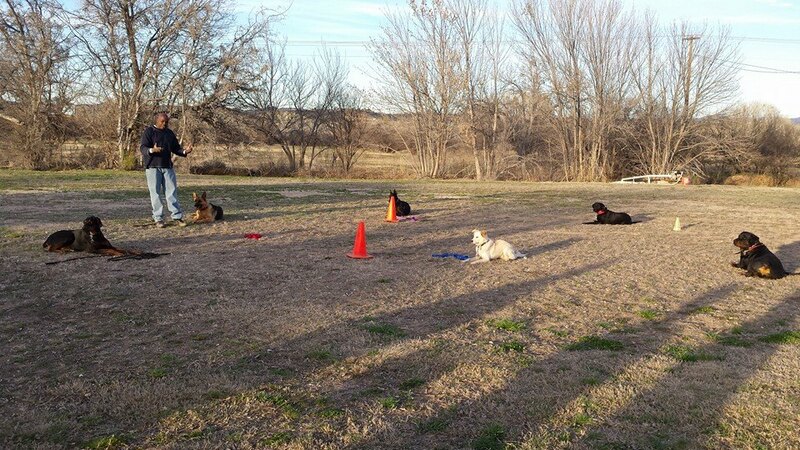 The canine must execute its tasks with at least an 80%-90% success rate to be re-certified. Our facility is conveniently located off the I-17 Freeway at the Camp Verde exit. There are several handicap-friendly food and lodging options within one mile from our facility. 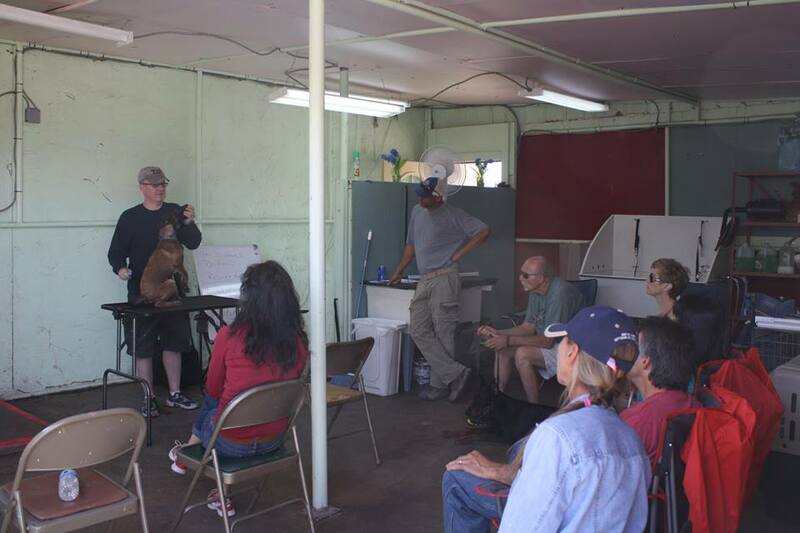 ​We welcome you to contact us directly to ask any questions or schedule service dog certification in Arizona. The cost of training a service dog is extensive. In fact, it is not at all abnormal for service dogs training programs to top $20,000 per canine by the time one is ready for its human handler. When taking into account the level of seriousness involved with tasking these animals to perform the jobs they do, we wholeheartedly believe every minute of every day, as well as every single dollar spent, is more than worth it in the end. To help offset these costs, we constantly engage in ongoing service dog charities public advocacy campaigns with the public-at-large. This includes educating business owners, community leaders and private citizens about the wonderful benefits of financially supporting service dog training, as well as the adults and children who cannot afford to own such highly trained canine companions on their own. Two very popular forms of support come through sponsorships and scholarships. Our non-profit status means we do not have an unlimited budget to train an infinite amount of service dogs on our own. Sponsorships and scholarships help us offset training and daily care costs for the canines in our training programs. We also find it extremely important to perform public awareness events advocating for service dogs in communities that might still be wary of their fundamental importance in the lives of the adults and children they serve. This can include arranging discussions with local community organizations, schools, businesses, or wherever else such education is needed. You can learn more about financially supporting our 501(c)3 non-profit service dog charities organization by visiting our Mission page, and we welcome you to contact us if you would like to discuss advocacy opportunities or offer support… thank you!